Bollywood is synonyms with masala, comedy and songs. 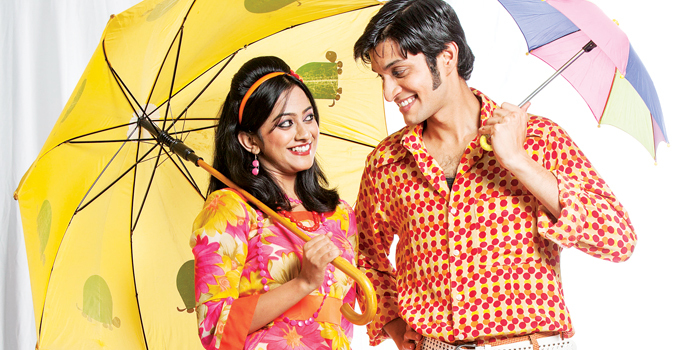 Theatre group Evam tries to bring this to the stage with their latest production, Bollywood Kee Maa. It is a tribute to 100 years of cinema. Sunil Vishnu, a partner at Evam, India points out that we as a country are largely influenced by cinema. a�?a�?Someone wants to propose to a girl or is angry, and they instantly come up with movie dialogues. We have a very strong Bollywood influence,a��a�� he says. The play is directed by Gavin RobertsonA� a�?We have been wanting to collaborate with international artists. We saw Robertson perform at the Edinburgh Fringe Festival. When we came up with the new production, we thought he could direct it. We wrote the script here and at the same time, he added his style to the production. We sent him a couple of movies and also asked him to read up on Indian cinema,a�? says Vishnu. On the other hand, Robertson tells us, a�?what I like about Bollywood overall is that it has an absurd sidea��almost like a cartoon! Ridiculous things can happen, both plot-wise and style-wise! The play itself is cartoon-esque and I decided that approach for the theatre was so perfect; the clichA�s and the style in which we tell the story somehow reflect the essence of Bollywood perfectly.a�? Robertson promises that in this show, one can expect every clichA�, every nuance of a typical film. a�?a�?The trick was to take the spirit of Bollywood and then explode it. You wona��t be disappointed,a�? he says. When it comes to his personal style, Robertson says, a�?I have two distinct strands to my own work a�� the serious side, like Crusoe. The other strand is genre-based comedy of which Evama��s play is a good example. My own latest is a parody of all the James Bond movies, which I am currently playing in Australia,a�? he says. As for the Indian movies he has watched, he likes Dabangg. a�?Ia��ve seen about five films a�� including Bride and Prejudice which is another favourite, interpreting the original novel, that really took the story and style to a different level,a�? he concludes.